Dave Edlund, the USA Today Bestselling author of the award-winning Peter Savage series, gives us a thriller of political intrigue, biological warfare, and the fragile balance of world power. When militants invade the Belarusian State University in Minsk, Peter and his father are caught in the crossfire. 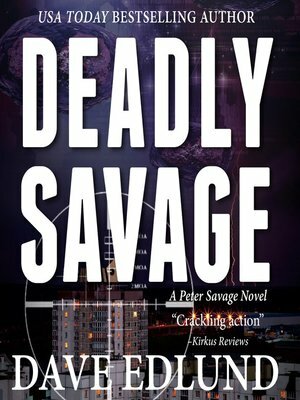 Held hostage by gunmen who look suspiciously like Russian soldiers, Peter Savage uncovers a deadly plot to kill thousands of innocent civilians—and lay the blame at the feet of the United States government. In a desperate attempt to avoid a global war, Commander James Nicolaou and Peter are called to the front lines of the sinister campaign, and the stakes have never been higher.